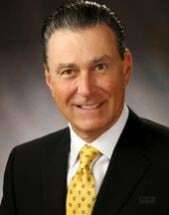 Michael L. Testa, the senior partner of the firm, is a graduate of the Villanova University School of Law and was admitted to the New Jersey Bar in 1975. Mr. Testa has been certified by the New Jersey Supreme Court as both a Civil and Criminal Trial Attorney, and has been certified in Civil Trial Advocacy and by the National Board of Trial Advocacy. He is also admitted to practice before the United States District Court for the District of New Jersey, the United States Court of Appeals for the Third Circuit, and the Supreme Court of the United States. In the area of Civil Litigation, he concentrates on the handling of all types of personal injury matters including medical negligence, product liability, wrongful death, automobile and construction accidents, and environmental and commercial litigation. Mr. Testa is author of numerous published articles and is a frequent lecturer on trial practice. He served as the President of ATLA New Jersey from 1995-1996. Mr. Testa's professional associations include the New Jersey State Bar Association, the Cumberland County Bar Association, the American Arbitration Association, the Association of Trial Lawyers, and the Association of Criminal Defense Lawyers of New Jersey.